Parents want the best for their children. But as these children reach high school, the questions start to mount. Can you afford to send your child to college? Is it worth the money? How can you decide? Alfred Poor has answers to the questions that keep parents awake at night! Is a college education worth the investment? Which major will lead to the best jobs? How much does a college's reputation matter? 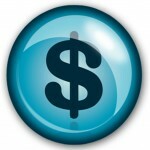 What can we do about college loan debt? I’m Alfred Poor, and I am an expert on career skills for young employees. I’ve closely studied the research and analyzed the statistics. And I’m ready to share my findings and advice with parents at your school. Based on solid facts, my lively and interactive presentation gives parents the confidence to help their children make good choices about college and career. 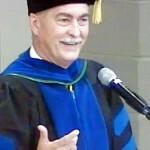 A graduate of Harvard College, he is the author of more than a dozen books, including “7 Success Secrets That Every College Student Needs to Know!” He has been widely published and quoted in major newspapers, magazines, and online publications, and he is a popular guest on radio talk shows from coast to coast. Dr. Poor's two public presentations were excellent and very well-received. Dr. Poor spoke to student career-readiness, and from a number of different perspectives. His delivery was flawless and he peppered his speeches with pithy, insightful stories which captured and held the attention of his listeners. 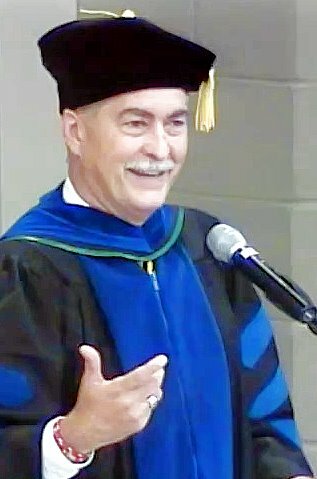 Dr. Gerard P. O'Sullivan, Ph.D. Unlike some other speakers on this topic, I have no ax to grind and no service to sell. I do not provide college admissions or financial aid counseling, and I am an independent speaker and author who does not represent any college or university. Some guidance counselors wonder why they should bring in an outsider to address these issues with parents. After all, providing this information is an important part of their job responsibilities. The reality is that an expert can reinforce the important messages that counselors share with parents and students all the time. Not only can this be an effective way to reach this audience, but it can enhance the counselors’ reputation by being associated with a well-known book author and speaker. We really appreciated the time you spent preparing material that was tailored to our audience. The advice and anecdotes you shared were extremely informative and compelling. Even if your school does not have a budget to cover my speaking fee, you can still arrange to have me come speak with your parents. If you have a booster club that supports an athletic team or other school program, you may be able to raise money by sponsoring my presentation. Click here to send me an email or call me at 215-453-9312. Contact me today and schedule a time for me to come to your school. My calendar fills quickly, so let me know as soon as possible which dates are best for you. Contact me today to get the best choice of dates. Now is the time that parents of Juniors are most concerned about college choices. Book me now so they can make confident choices about their children's future. No budget? No problem. Your school or booster organization can actually make money when I come speak to your parents.